Heat olive oil in kadai , add mustard seeds , let them splutter . 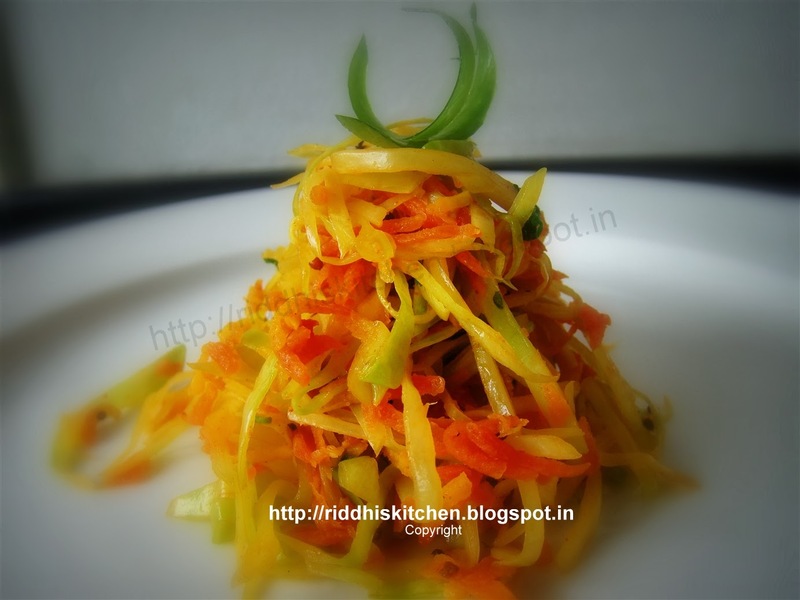 add green chilli , shredded cabbage , grated carrot , turmeric powder , salt , mix well . cook for 1 / 2 minute on high flame .serve hot . Tip : Sambharo serve as salad .